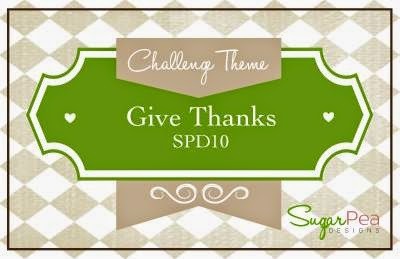 SugarPea Designs Challenge #10-Give Thanks! Hello! We have a new challenge at SugarPea Designs and this time we want you to Give Thanks! 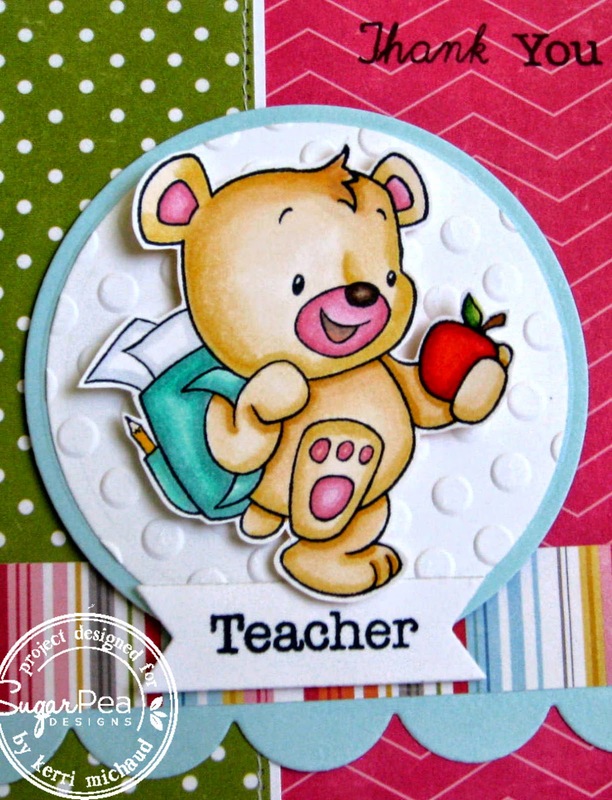 I used the adorable set Teacher's Pet to make a thank you card for Avery's teacher:) I stamped the image with Memento Tuxedo Black and colored with Copics. I then cut the image out and popped it up with foam tape. The dp I used is Echo Park Fine and Dandy. I love where you went with this Kerri. Genius. So cute. Kerri, this is darling! I love his added pinkness!! Great card!